Editor's note: Our guest blogger this week is from City 24/7, a non-traditional media company with a mission of providing “what you need to know, when and where it helps you most.” See how the company uses Google Places APIs as a way to give the public access to vital local information. Imagine you are visiting New York City for the very first time. The lights, sounds and endless city blocks are all pretty amazing – yet a little confusing. That’s where City 24/7 comes in. To give you an easy (and free) way of learning about your surroundings, we’re installing 250 Smart Screens in retrofitted telephone booths across NYC. 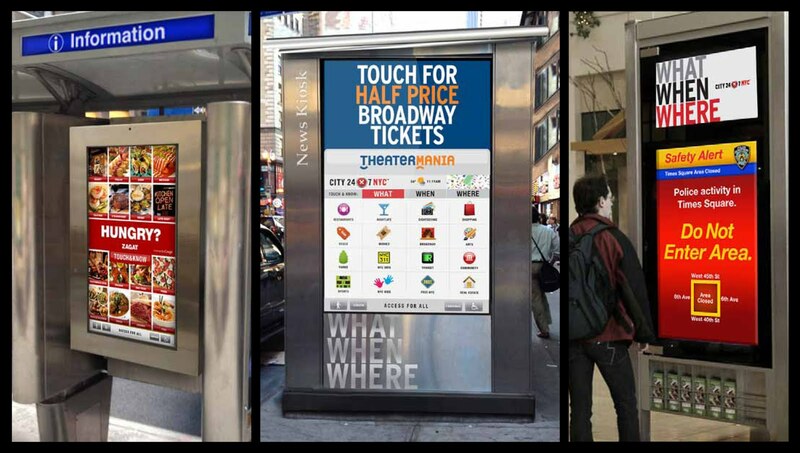 City 24/7 Smart Screens are large, interactive touch screens that give you a range of information about local businesses and points of interest. And in the case of an emergency you can also access vital safety information, such as safety tips from the police department or updates from the mayor’s office. We turned to the Google Places API to help us provide you with accurate, reliable information about events and places in any given neighborhood. The Places API includes location info from Google Maps, content from Google+ Local, Zagat-recommended establishments and (as of last week), Place Summaries - which include curated reviews and ratings. Cities should be easy to live in and fun to visit. And with access to Google+ Local data, everyone can feel like a local, knowing all the best places to eat, shop, play and hang out. 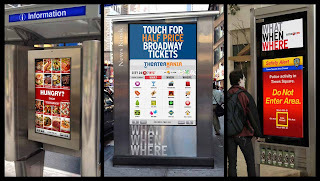 With the help of the Google Places API, we look forward to bringing our Smart Screens to bus shelters, train platforms, and major pedestrian streets in cities all around the world, as well as to launch our mobile application.